Sherbrooke transit drivers are no longer required to pick up groups of students who appear to be intoxicated. 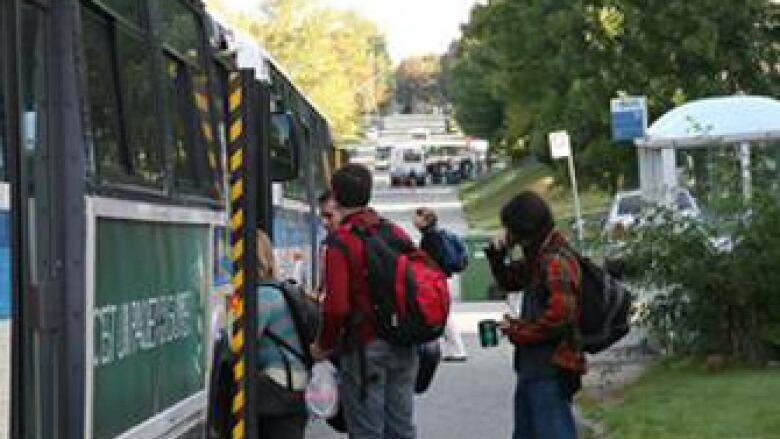 University of Sherbrooke students may have to look for another way home because transit drivers are no longer required to pick up groups of students who appear to be intoxicated. According to the driver's union for the Sherbrooke transit commission, police have been called every weekend since the start of the school year, and drivers have been complaining about rowdy and abusive passengers. “For the last four years we have reached a point of we didn't want that kind of thing to continue. We want to propose solutions and we want to apply them. The sooner, the better,” said president of the union representing 126 bus drivers, Yves Houle. Houle said the Sherbrooke transit commission has tried to meet with university officials several times in the past, however, their first meeting is scheduled in the coming days. “We have to be concerned about how bus drivers can know if students are drunk without an alcoholometer that is used to know that,” said Lebeau-Lamoureux. The University of Sherbrooke Student Federation called the policy discriminatory, and Houle said he expected this negative response. “We knew that kind of directive would create that kind of reaction but the bottom line is that we want to meet these people. Meet the university [officials], and the people also from the student association so everyone can probably find a solution,” said Houle.